About two years ago, I stopped blow drying my hair. It was causing a lot of heat damage, and it took AGES to do, so I started air drying exclusively. But, achieving really good volume in your hair is hard without blow drying. I’ve struggled with this for the last few years. But, I’ve finally figured out a few tricks to give your hair good volume without the work of a blow out or even curlers. Today I’m excited to team up with Hair Food to share their amazing Volume collection, and those four tricks! Start with the right shampoo. I’ve been using the same shampoo for the last few years, but I’ve heard it’s good to switch up your products every once in a while. So I was excited to try out Hair Food’s Volume collection because I struggle with volume. This shampoo is free of silicones, parabens and mineral oil, and gently cleanses hair for luxurious body and shine. 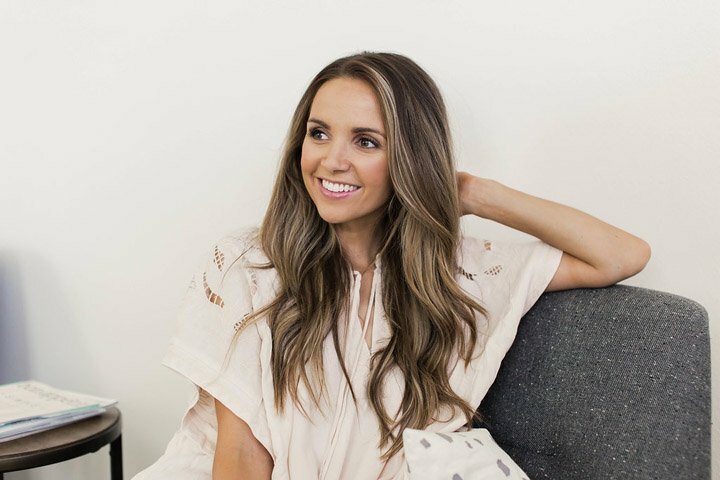 I’ve spent the last year taking care of my body and putting good, healthy ingredients in it, so I’m excited to have hair care products full of natural ingredients which also give me extra volume. Typically I wash my hair once a week, let it air dry, and then straighten it with a flat iron on day one. On this day, my hair is usually very flat, and it takes a few days for it to build volume with dry shampoo and dirt. But after using Hair Food’s Volume collection, I had as much volume on day 1 as I usually do on day 3 or 4!Also it smells AMAZING. Hair Food offers various collections including color protect and moisture, too! Sleep with your hair in a high ponytail. When you sleep on your hair, you lose a lot of volume. I sleep with my hair in a super high ponytail so it doesn’t get flat spots or smashed while I’m sleeping. Use a scrunchie or no-crease hair tie to avoid unwanted dents in your hair. It helps maintain my volume day after day! Change your part every once in a while. This is the easiest trick for instant volume. If your hair is feeling flat, switch your part to the opposite side and BAM! Volume! And if I don’t want to change my part permanently, I’ll part it on the other side while I work out. Even an hour or so in the other direction gives your parted side some extra oomph. Don’t forget the dry shampoo! 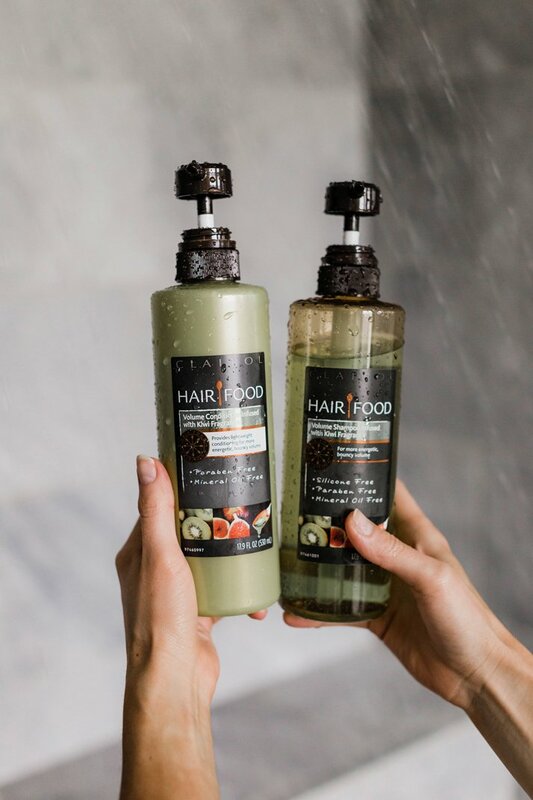 Not only does it refresh your hair in between washes, it also provides a little build up in your roots to add some extra volume! I don’t ever use hairspray — just a little dry shampoo and a quick brushing, and my hair is ready for the day! 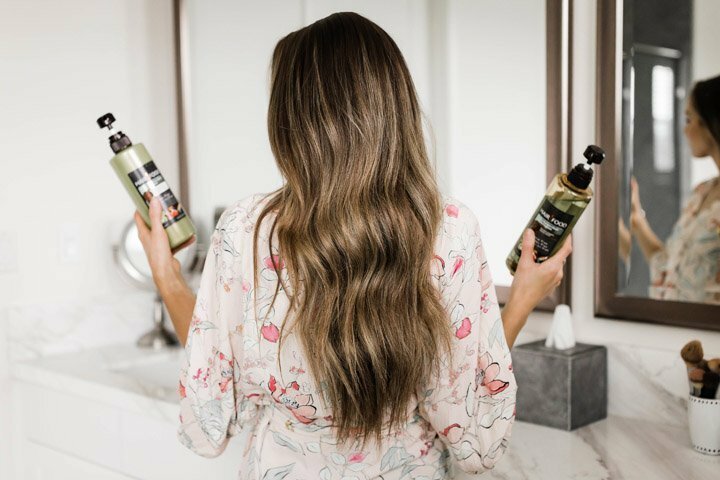 Be sure to check out Hair Food’s dry shampoo! There you go! No curlers, no blowouts, no ratting…just good products and a few easy tricks to get nice full volume you want. Hair Food is available at your local Target! YOU say that you stopped blow drying your hair because of the damage but DOESN’T the flat iron cause more damage? Thanks for the tips – I’ve been trying to Air dry too, but find my hair doesn’t curl as well. I’m going to try hair food. Your hair looks gorgeous! Have you trIed monat? We carry an air dRy cream that you would love! Our products are alSo free of sIlicones, parabens & mineral oil.